In general, I hate camera straps. Long ago, when running to keep things moving at a wedding years ago, my dangling strap caught on a church pew and yanked a Medium Format film body out of my hand, smashing a lens, body, back and AE prism finder. Yes, I had a backup and continued as if nothing had happened. But it taught me to hate straps. In addition, since these days I shoot mostly commercial and advertising work and most often with a tripod, getting a strap off or on a camera conveniently is highly desirable. 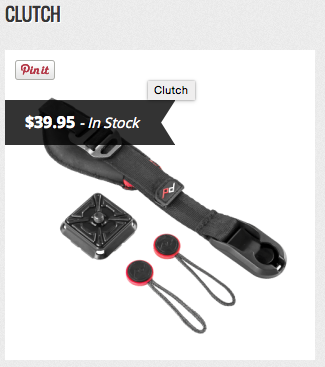 As a result, I’m always on the lookout for a better camera strap. I’ve tried Black Rapids, Canon Pro Strap, various neoprene flexible straps with quick disconnect ends and more. I’m also 6’5″ and ‘big” (euphemism alert), so a strap like the Black Rapid has to have additional length customized by me in order to hang at a comfortable length. The Canon CPS Pro Strap has been my current favorite, but it’s not long enough, really. Recently I stumbled into this brand new company: Peak Design. I don’t recall hearing of them before, but their solutions are so slick and work so well they deserve a shout out. In fact, I’m touting their qualities here because I like them so much. Upon first learning of them, I wrote to their customer service over a weekend and heard back that Monday, which is pretty good, assuming they’re closed for weekends. They appreciated the feedback and revealed they’re always listening to their clientele. I like a company that’s responsive to customers and at least willing to entertain new concepts. I ordered a Slide earlier this summer. When it arrived it was so very well made and coolly designed that I was even more impressed. As mentioned previously, I’m a big guy, so still wished for more length. Good news, the newly released Slide XL arrived yesterday and is all I’d hoped, allowing me to use the strap in many different configurations – the usual front and center or as a shoulder strap or slung across my chest like a bandolier. I especially like the bandolier option for two cameras, crisscrossing my chest. 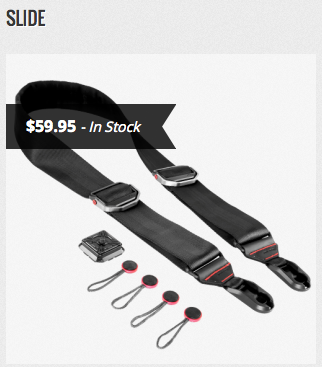 The strap is wide – it’s made from tubular car seatbelt material – and soft and very comfortable. 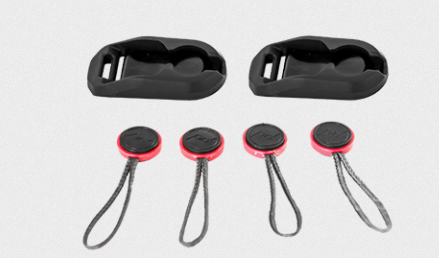 The length adjustment buckles are smooth as possible and the piece de resistance, the quick disconnect attachments. Another great accessory I use is the Clutch hand grip strap, something I’ve never before been able to find large enough to fit my huge hands. Now I have one. Then there are the Anchor Links, accessories designed to convert your existing straps for use with the same quick release tools as the Slide and other straps available from Peak Design. I don’t usually write too much about the tools I use, but these are so great, and are Crowdsource funded, that I just had to let people know. I’m placing photos below, courtesy of the Peak Design website, but if you want to really experience both their attitude and approach to design as well as see some of the uses and tools I haven’t mentioned, go to the Peak Design link above and watch some of the videos.